So on my 13th EVE Online anniversary (please mind I've been retired for the past 3 years) Kael Decadence informed me that Project Aurora is actually playable as open beta. So I've immediately downloaded the game to my Android phone and began playing (I don't have enough free time to play games properly on PC, but generally can find time to play games on mobile - it's why I focused on World of Tanks Blitz for the past four years). After 48 hours of playing I am slowly reaching Command Module level 6 and already have some feedback to the Playraven/CCP teams. Citadel contesting mechanic is ok. Simplified, but similar to EVE. 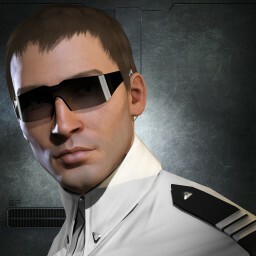 Caldari Shuttle as Civilian Miner. Drop Shuttle from this line, make Venture as the entry level, and add Hulk on top of the tree. No in-game factions are present. Where are my Serpentis rats?! Instant fleet Warp? As if there were no Jump Portals in EVE? Come on! Name the things appropriately please.